Description: Hoarding Disorder has only recently been officially recognized as a disorder in the DSM-5 (2013). Given this, few mental health professionals have received training in what constitutes Hoarding Disorder and how to treat this challenging mental health issue. This workshop will cover factors that contribute to the development of Hoarding Disorder. The program will also focus on key components in the cognitive-behavioral treatment model and interventions developed by Steketee & Frost (2007), including video demonstrations. 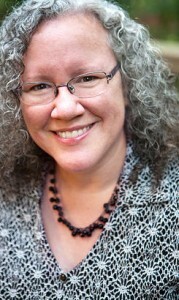 Annette R. Perot, Ph.D is a licensed psychologist in Durham, NC. For the past 20 years, she has specialized in working with adults with anxiety disorders, OCD, and related issues, such as Hoarding Disorder and Trichotillomania. Dr. Perot is past president of the North Carolina Psychological Association and currently serves on the Board of OCD North Carolina, an Affiliate of the International OCD Foundation. Identify the clinical features of Hoarding Disorder, including the DSM-5 criteria for its diagnosis. List and characterize key features in compulsive hoarding and in those who compulsively hoard. Describe at least 2 components of cognitive-behavioral treatment and interventions specific to Hoarding Disorder. Make use of at least one strategy to enhance motivation in those who compulsively hoard. Frost, R.O., Steketee, G., and Tolin, D.F. (2011). Comorbidity in hoarding disorder. Depression and Anxiety, 28(10), 876-884. Steketee, G., and Frost, R.O. (2014). Treatment for hoarding disorder: Therapist guide (2nd ed.). Oxford University Press. Steketee, G., Frost, R.O., Tolin, D.F., Rasmussen, J., and Brown, T.A. (2010). Waitlist-controlled trial of cognitive behavior therapy for hoarding disorder. Depression & Anxiety, 27(5), 476-484.